How to Know If a Shrub Is Dead? Sometimes a shrub will die no matter how much attention and tender loving care you dedicate to ensuring its survival. The shrub may be the victim of under-watering, over-watering or pests. Most often, however, extreme winter weather is to blame. If your shrub looks like all hope is lost, don't give up too soon. 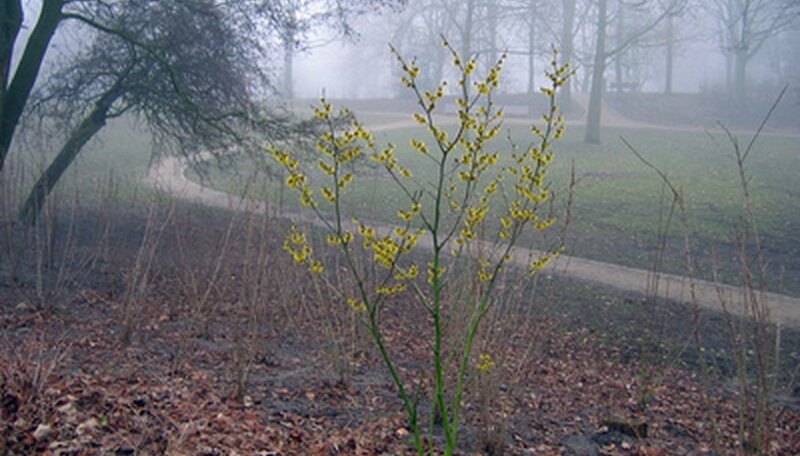 Often, shrubs that look dead are actually dormant and may spring back to life. Look for small signs of growth such as tiny buds or the beginning of leaves. Check the color of the bark, as the bark of a dead shrub will be a dull and gray. Scrape a small area of a branch's outer bark with your fingernail. If you can see signs of green, the shrub still has life. If you see no green, try again on several parts of the shrub, especially areas close to the roots, which will show new growth first. Bend a branch. If the branch is flexible, there's a good chance the shrub is still alive. Dead branches will break with a snap. Don't make a determination based on just one branch, however, as a shrub can have dead branches but still be alive. Leave the shrub for a few weeks even if the shrub appears to be dead. Often, dormant shrubs can appear to be dead but will suddenly spring back to life. If no growth appears by summer, it's safe to remove the shrub. Washington Native Plant Society: Dead or Alive?